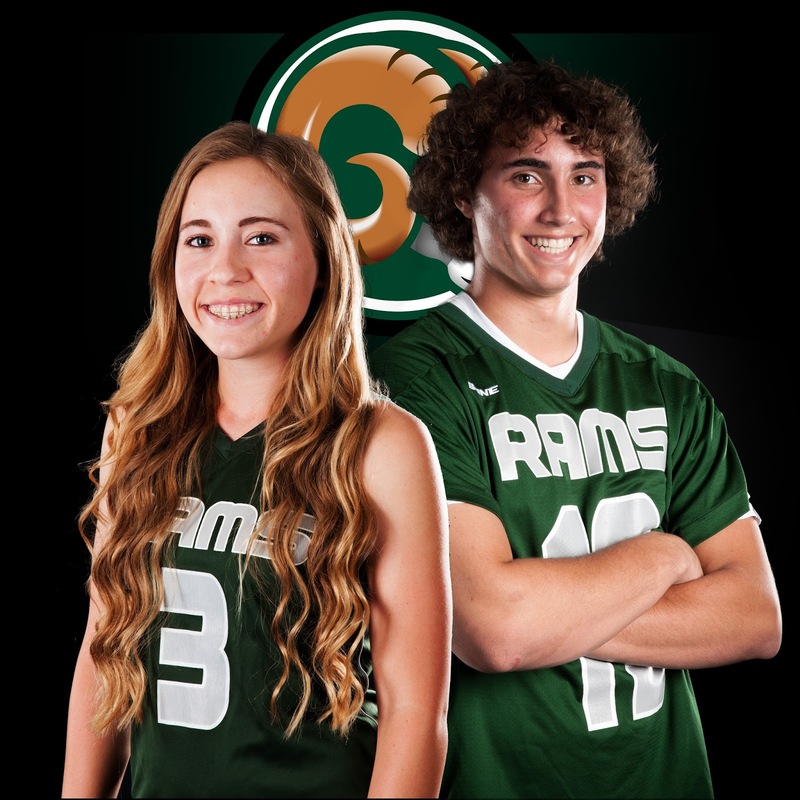 Lacrosse players Jacob Ray and Emily Hopkins have been named the Murrieta 24/7 March Athletes of the Month from Murrieta Mesa High School, sponsored by Photos DLite photography studio. Hopkins has been an offensive threat all season for the girls lacrosse team, which is 13-5. She set the school record with 57 goals last year and has already broken her own record by surpassing 60 this season. "She is a huge reason Mesa may have an opportunity to play in the postseason this year, which is a huge accomplishment as a second-year program," said Hopkins' coach, Molly Sovacool. "She set the school record for most goals scored in a game, scoring 7 goals against Chaparral. "She is seen as a threat to all teams, finding ways to execute offensively even when she is double or triple teamed. I will miss Emily's dedication to the sport, her team intensity, speed and talent next year. I'd be lucky if a player like Emily Hopkins came through the program soon, if ever." Ray, a faceoff midfielder, has had a similar effect on the boys lacrosse team, which is 11-5. According to his coach, Charles Arthur, he has won 190 of 260 faceoffs (73 percent) this season. He also leads the team in ground balls, assists, forced turnovers and checks. "I think that my strengths as a player are my size and my ability to see the field," said Ray. Ray has been playing lacrosse for eight years, having been introduced to the sport by his cousin. That experience in a sport that is relatively new to CIF sports has given him an advantage others might not have. "The hardest thing to learn about lacrosse would be the IQ of the sport, when to pass the ball, take a shot, or to slide on defense," he said.